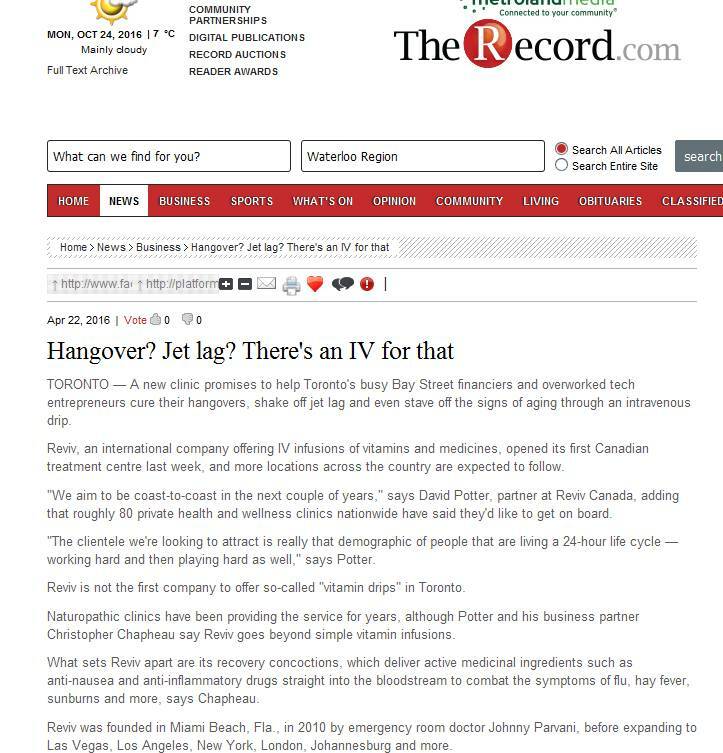 A new IV bar in Toronto has opened with the ability to help Toronto’s busy Bay Street financiers and tech professionals overcome hangovers and shake off jet lag and even provide anti ageing benefits through IV hydration drips. Founded in Miami Beach in 2010 and with locations in cities like London, Johannesburg, Hong Kong, and Los Angeles, REVIV is the first global IV Company to open in Toronto. The team at REVIV Toronto also has the ambitious plan to open over 80 more locations throughout Canada starting with Montreal and Vancouver. The IV menu starts at $100 and includes a vitamin IV, hydration IV, glutathione IV, and hangover IV. Additionally clients that visit the King West Village clinic can also choose from a variety of vitamin booster shots like b12, Slimboost, Glutathione, and CoQ10. The intramuscular shots are quickly administered and start at just $25. Visit the REVIV Toronto med spa at 626 Kind Street West.